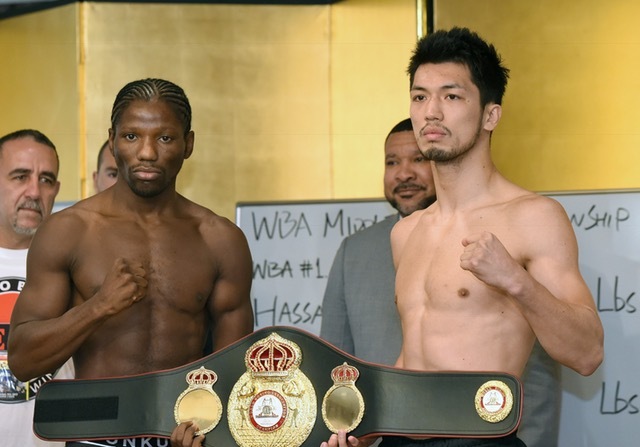 Tokyo - The weights are in for the battle between WBA Interm Middleweight Champion Hassan N'Dam N'Jikam of France (35-2-0, 21 KO's) and 2012 Olympic gold medalist Ryota Murata of Japan (12-0-0, 9 KO's) as they will decide the regular WBA World Middleweight champion at the Ariake Colossuem in Tokyo Japan set for this Saturday May 20th, 2017. Photos by Naoki Fukuda. Also on the fight card are two WBC world championship bouts. Daigo Higa (12-0-0, 12 KO's) of Okinawa, Japan will challenge Juan Hernandez Navarrete (34-2-0, 26 KO's) of Mexico City D.F. for the WBC Flyweight championship. Ken Shiro (9-0-0, 5 KO's) of Kyoto, Japan faces WBC light flyweight titlist Ganigan Lopez (28-6-0, 17 KO's) of Mexico City D.F. Press in attendance and coverage of this mega event has been unprecedented due to Ryota Murata’s ever growing star power in Japan. This triple title event is presented by Teiken Promotions and televised live by Fuji TV at 7:00pm JST. 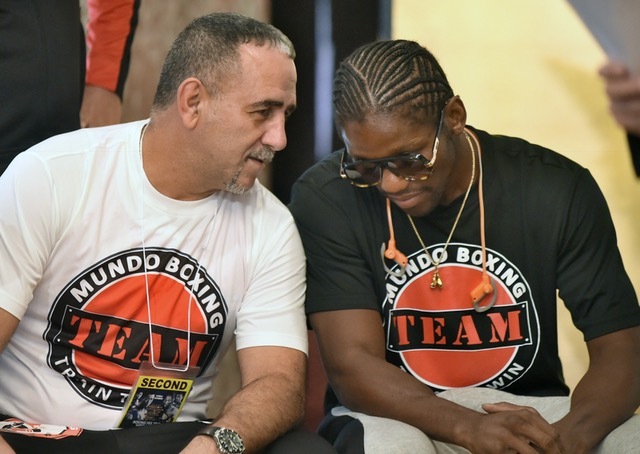 *Juan Hernandez Navarrete loses the title on the scale. "It's the world title fight that I look forward to and I would like to thank you all for being here"
“My game plan is already set so I’m not going to change anything now, I just have to make weight and show my best. How are we all streaming this ? 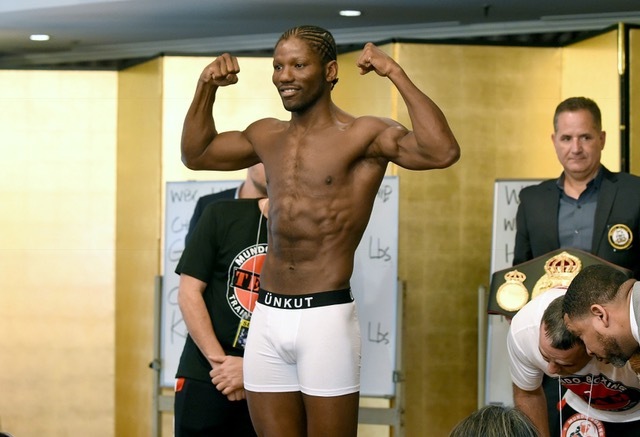 Never a dull fight with N'Dam around – always liked the guy since his war against Quillin. Hope someone caps this.